Find the ⭐ Presidente Supermarket Ad 4/10/19 - 4/16/19 by this post and create a shopping list now. Browse the ✅ Presidente Supermarket Weekly Ad April 10 - 16, 2019 and save with the latest deals and coupons for the week. If you want real quality with a touch of color, warm service and down-to-earth savings, Presidente Supermarket is for you. Presidente Supermarket has a variety of foods and products typically represent American culture merge, however, that cater to the business needs of each individual family. 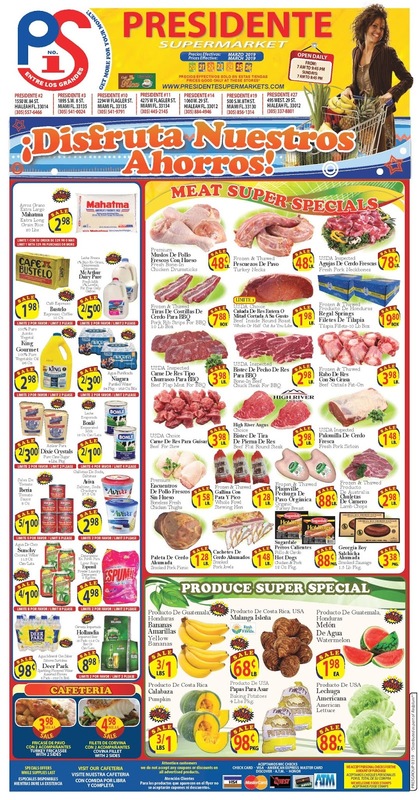 Presidente Weekly Ad is available and you can save more with this ads and deals. So, don't miss to find items with low prices on Presidente Ad this week such as McArthur Dairy Pure, Niagara Purified Water, King Gourmet Vegetable Oil, Aviva Soda Crackers, Häagen - Dazs Ice Cream, Tropicana Premium Orange Juice, Country Crock Original, Sun Liquid Laundry Detergent and much more. Presidente Supermarket Ad for this week is available in miami gardens, miramar, fort lauderdale, quil roost and hialeah. 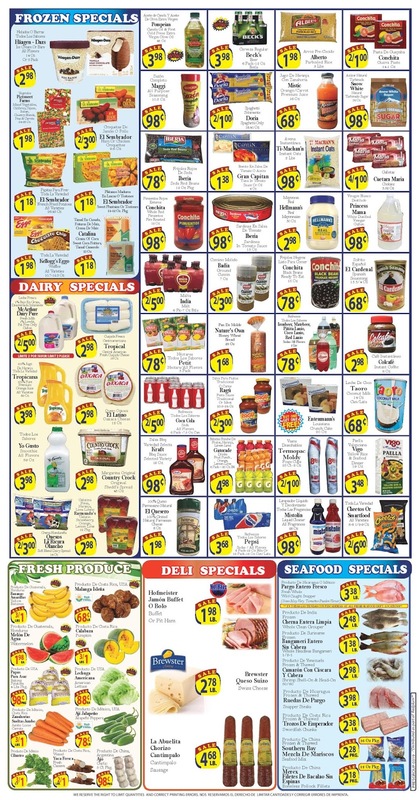 Presidente Weekly Ad also valid for lauderhill, forest hill, kendall and other locations.